Super aromatic on the nose, sweet cream, vanilla bean, honey and figs mingle with balsam fir. The palate is layered with fresh ripe pear, venison and bitter dandelion. The finish is soft, round, full and filling with a creamy texture. Some of the best ciders we have made are from pears. Unfortunately, our Perry Pear trees are young, few and fickle. But 2015 was not only a wild apple year, it was an on year for wild seedling pears. They stood out in the fields and hedgerows in and around Van Etten. Ben Kahn, who also picked wild apples for us in 2015, made his fortune in pears. 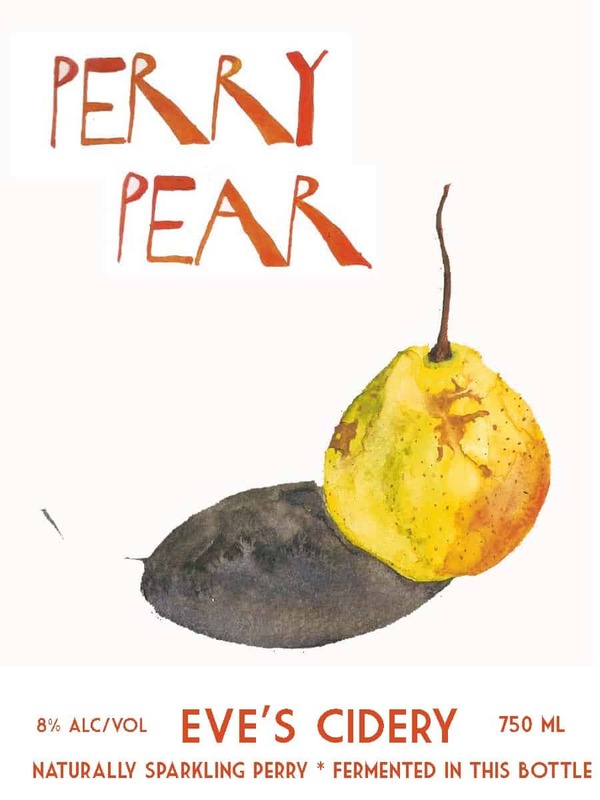 His luck is that we found that virtually all wild pears make great cider fruit, so there wasn’t the picking, mulling over and going back process that layered the wild apple project. The wild pears were, to a tree, shockingly tannic; those tannins emerging much softened in the cider. Fermentation also seemed to transform the fruit from cool, closed-up packages to brilliant aroma wheels. Another boon for Ben was that some of the wild pear trees were huge. From one unusual tree alone he picked 40 bushels. I wouldn’t have climbed up there, but Beni Kahn looked happy enough swaying around high above the ground. All told, almost all of the pear fruit was wild harvested – around 150 bushels. We took scion wood from four of the standout seedlings and budded them onto rootstocks planted in the Spring of 2016 in our new Valley Orchard. This may be the long term legacy of the 2015 fruit year. But for now there is the cider, disgorged in July of 2016. Primary fermentations in stainless steel.